Water benefits the body in many different ways. When taken by mouth, some of it is absorbed from the intestines and enters the bloodstream to increase its volume. The size of the blood vessels is thus increased (although they are never expanded to their fullest extent), due to an increase in the volume of their contents. The blood becomes more fluid, and as a result the circulation is quickened. Abundant water drinking increases elimination by the mucous membrane lining of the intestinal tract, an important organ of excretion. The results of this increased activity is that the contents of the intestines become more fluid, thus helping to correct the common problem of constipation. It also removes from the blood some of its poisonous waste materials, rendering the blood cleaner for the building up of tissues. In this way both elimination and repair are aided. The use of water assists in all the vital processes by increasing the renewal of tissues. It is a false idea that bathing renders a person more susceptible to colds. Colds are caused by a disturbance of the circulation. Frequent bathing makes the skin more active, thereby increasing the circulation. A person who takes a daily cold morning bath increases his immunity against colds and is not nearly so susceptible to changes in temperature. Colds contracted after bathing result from not taking proper precautions during and after the bath. Disease does not exist without some disturbance in the circulation. In health, each part of the body receives its necessary share of blood. Therefore, in any disease, one of the first things to do is to balance the circulation. Prolonged applications of cold water contact the tiny blood vessels and thus the amount of blood in the part is lessened. The same may sometimes be accomplished by applying hot water to some distant part of the body so that the surplus blood will be drawn there and thus relieve the diseased organ. Application of heat may be applied to a part where there is not enough blood. At the same time, you can apply a cold application to some other part of the body. This will help to send more blood to the deficient area. Very often hot and cold applications can be combined advantageously, because one part of the body cannot contain too much blood without some other part being deprived of its due portion. Regulation of the body temperature is closely associated with circulation, and the two are controlled by the same remedies given in the same way. A part that becomes inflamed and contains too much blood usually causes a fever. A cold application will relieve this. Pain may be caused by a disturbance of the circulation because the overfilled blood vessels exert pressure upon the nerves. Relief will be obtained from hot applications, which relax the tissues. The nerve fibers will be relieved of pressure, and the circulation will then be stimulated so as to relieve the congestion. In some conditions, such as acute sprains and strains and acute bursitis, a local application of cold may give more relive from pain than applying heat. A large number of disease are caused by obstruction of the various organs. Usually the obstruction is due to the accumulation of natural waste products from the tissues or the ingestion of foreign materials, such as one absorbs in hard water or indigestible food. A warm bath opens the pores and removes external obstruction, because it is the best solvent that we have. Obstruction in the stomach may be removed by emetics. Obstruction in the bowels may be removed by enemas. With fever, cholera, etc., the blood is usually abnormally thick. This causes slow circulation and the tissues do not obtain proper nourishment. There is nothing as good as water to remedy this condition. 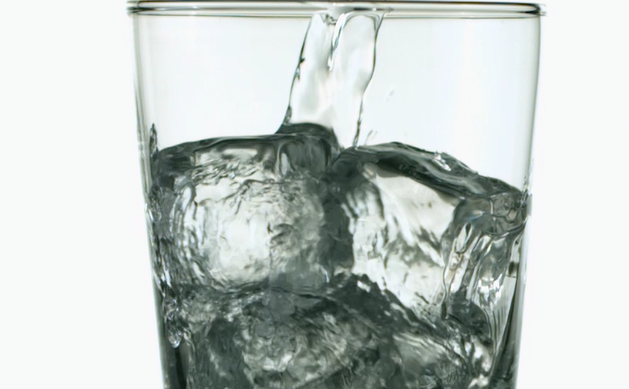 If water will not stay in the stomach when taken by mouth, some can be absorbed through the skin by lying in a tub of water of the proper temperature, depending on the difficulty. Hot and cold fomentation applied to the abdomen, with a hot foot-bath and a cold compress to the whole system. Fomentation applied to the abdomen and spin will relieve general nervousness and numerous other ailments. A full, warm bath may be given with equal success. Water is one of the most powerful means of causing a reaction throughout the entire body in either heath or disease. The blood vessels to each organ of the body can be controlled through a reflex arc by the stimulation of a certain area on the skin. For example, the skin blood vessel overlying the brain can be contracted by taking a hot foot-bath or dilated by placing a cold pack on the lower part of the spine.